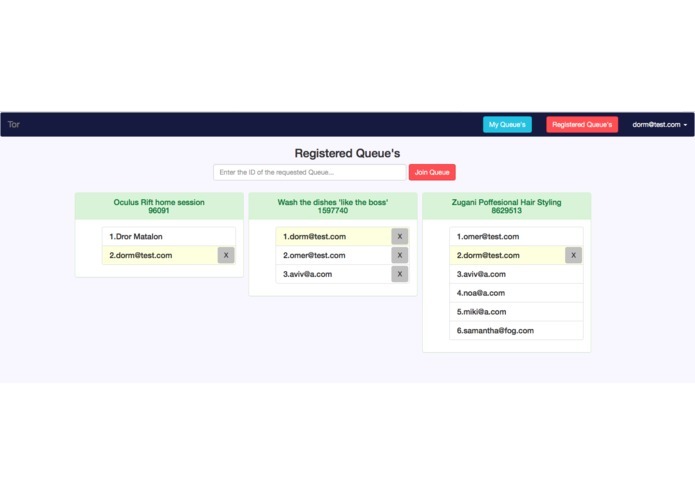 I have created a simple web application to manage all queues in our life , from small businesses to who's turn to wash the dishes or play basketball in the public court. it was my first hackathon and I enjoyed it a lot and learned even more. accounts-facebook, accounts-password, blaze-html-templates, check, ejson, ian:accounts-ui-bootstrap-3, iron:router, jquery, logging, meteor-base, mobile-experience, mongo, random, reload, session, spacebars, standard-minifies, tracker, twbs:bootstrap.